I think we all agree on one thing - we want to raise "good kids". We might differ in certain details, but there is a set of universal values or virtues that we want in our kids - kindness, generosity, honesty, open-mindedness. We try to not only model these values at home but also read books that highlight and promote these values. 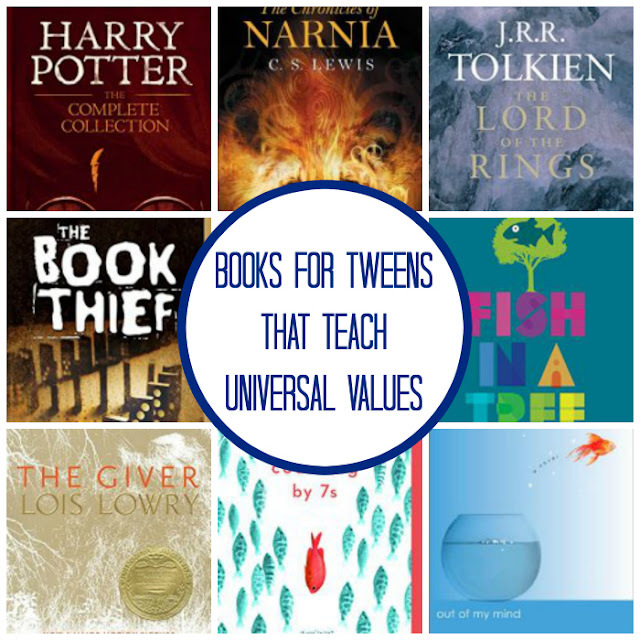 I think it's especially important to "strew" books that make our children think, consciously or subconsciously, about their values as they enter critical tween years. Today, I want to share some of these books with my readers. Don't discount fantasy books when thinking of books with universal values. After all, fantasy books are sort of modern age fairy tales. Fantasy heroes are usually very "wholesome" and embody universal values that we want our children to have. Classic fantasy books like The Chronicles of Narnia and Lord of the Rings are more "black and white" in my mind when it comes to character development, but modern fantasy books (Harry Potter, anyone?) introduce characters that are multi-dimensional, have personal struggles, make moral choices and even commit occasional moral blunders on their way to their ultimate victory over the villains. This summer, Smarty enjoyed a new type of fantasy, a dystopian fantasy. I think she is still a bit too young for The Hunger Games, but she read all four books from The Giver quartet by Lois Lowry and loved them. The Giver opens a more high level conversation about what we value as a society and what we are willing to sacrifice for safety and security. Unlikely young heroes step up in these books to push their way to a better life for themselves and their communities. I highly recommend The Giver to kids of middle school age. Smarty loves fantasy books, but this summer I suggested several books to her where main characters are not living in the fantasy world and deal with real life problems and real moral choices. Not incidentally, all these books feature female heroines that are same age or just a bit older than Smarty. 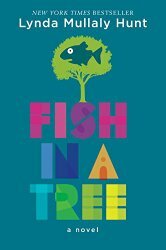 Ally, the main character in Fish in a Tree by Lynda Mullaly Hunt is a creative young girl who moves every year with her military family. 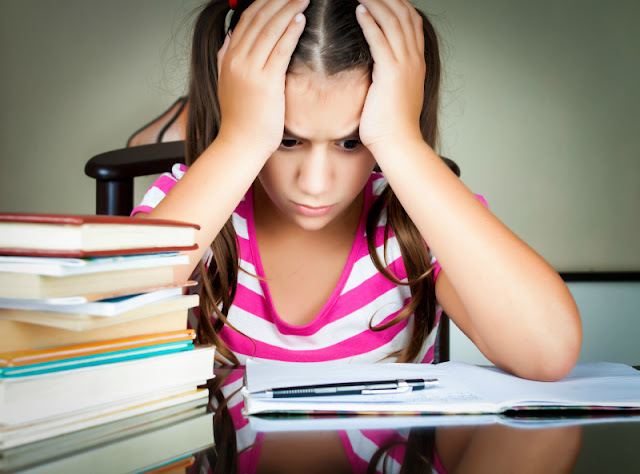 She is very clever in hiding her big secret through entertaining and disruptive behavior in the classroom. The trouble is - Ally cannot read. It takes a caring teacher to help her open up and reach out for help. This book might be especially appealing to kids with learning differences who feel misunderstood and underappreciated in school. 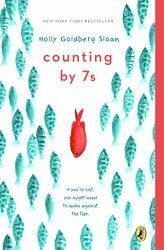 I was not sure at first whether to let Smarty read Counting by 7s by Holly Goldberg Sloan. The book basically starts when Willow, an academically brilliant but socially awkward girl, tragically loses both of her parents in a car crash, and I was worried that Smarty would be imagining herself in this situation. People, who were near strangers to Willow, step in to help and their lives are changed profoundly as well. My only problem with this book is that Willow's knowledge is simply unrealistic for someone her age and she hates school, but Smarty really enjoyed the story. 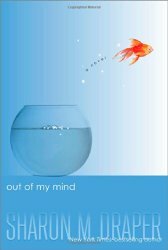 Out of My Mind by Sharon Draper is a brilliant book that can open many good conversations about not judging people by their physical abilities. Melody is very smart, but nobody knows it. She was born with cerebral palsy and she is trapped in a special education room in school. Things start to change when school policy becomes more inclusive, but this comes with another set of problems of acceptance and wanting to belong. This book does not necessarily have a happy end like Fish in a Tree, but this by itself brought on an interesting conversation with my 9 year old as to why she has grown to expect a happy end in every book she reads. 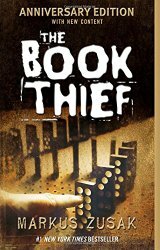 Speaking of happy endings, The Book Thief is definitely not in the category of "feel good while reading it" books. In fact, I cried and cried through it and in the end of it. Smarty did not, and not because she is not empathetic enough but because the events described in the book are still beyond her comprehension. She enjoyed the narrative style, but I think the content was too mature (not scary or inappropriate, just too difficult to comprehend). I think older tweens and teens should all read this book - in fact, I hope it will be a required reading at some point in Smarty's school career. There are many moral choices in this book and these choices lead to life or death, something that I certainly hope that my daughter will never get to experience. 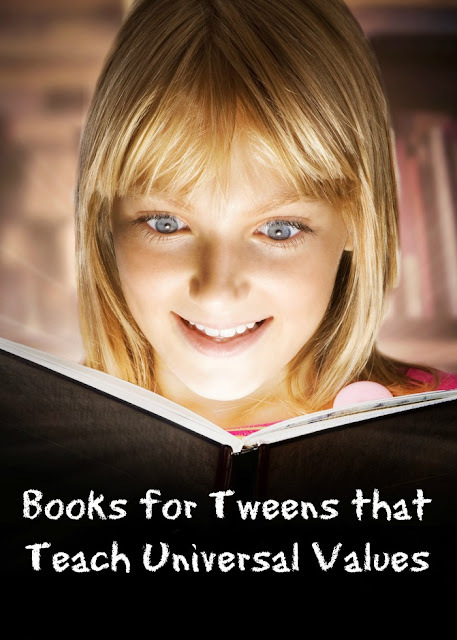 What books are your tweens reading? More Ideas About Teaching Virtues and Values to Kids? I think most fiction teaches virtues somewhere along the way. Nice recommendations! Emma recently finished reading the newest Harry Potter book/screenplay. I'm pretty sure she is re-reading it right now. Ahhhh, that girl in the picture is scaring me. I LOVE to use books and movies to discuss values and worldview, we do it all the time. I'm looking forward to trying several of the books you mentioned with the kids eventually.